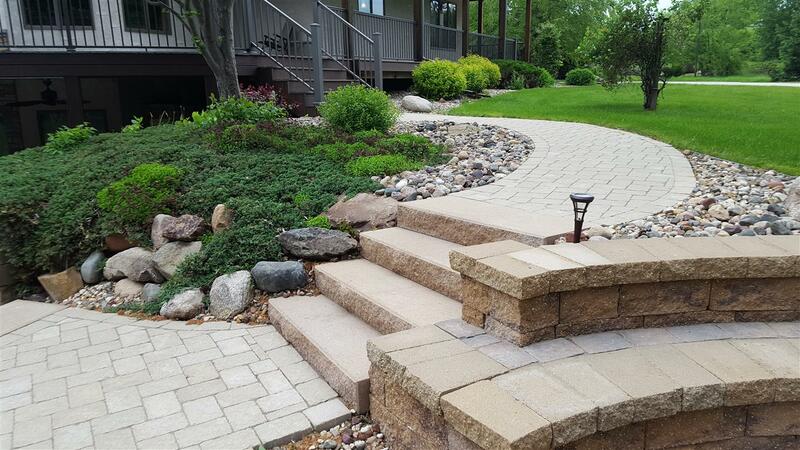 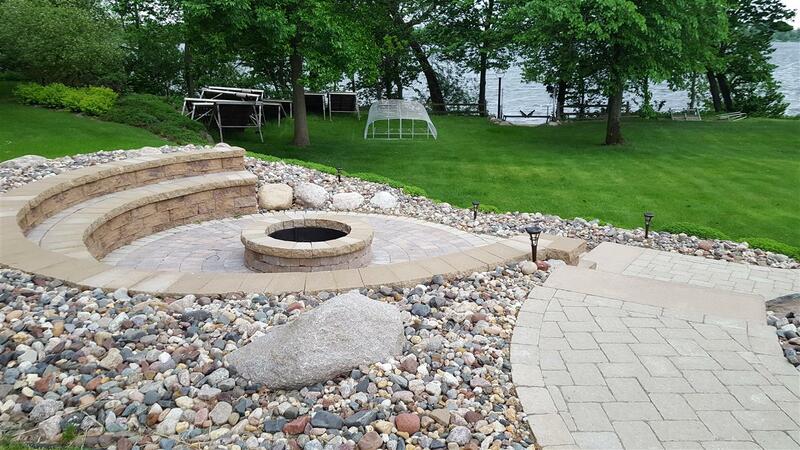 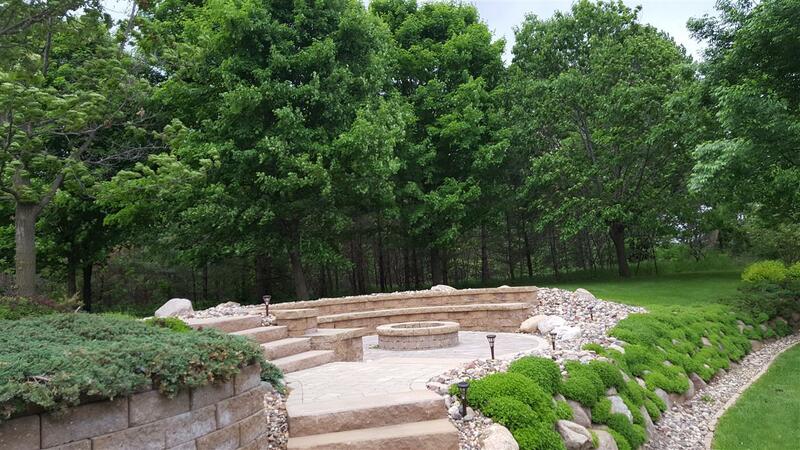 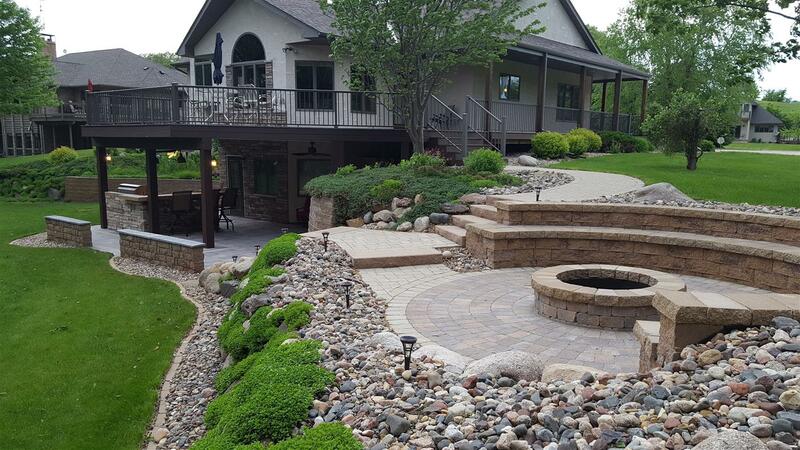 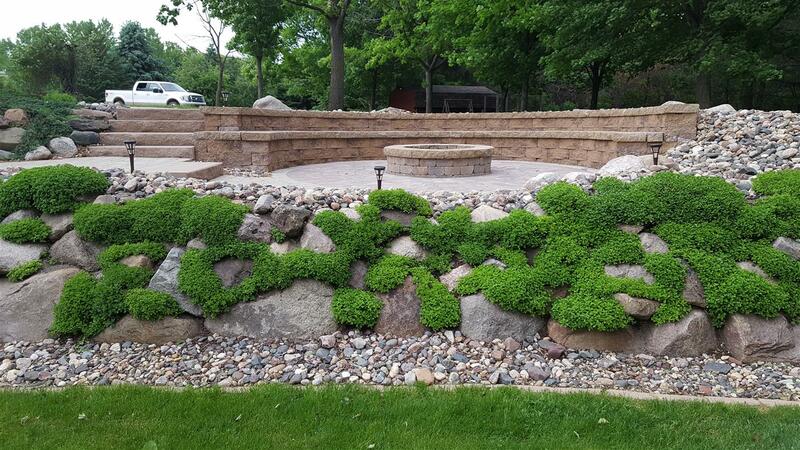 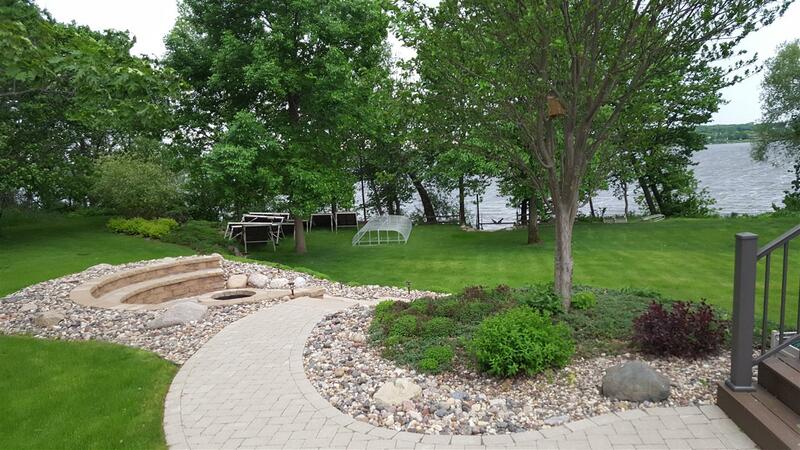 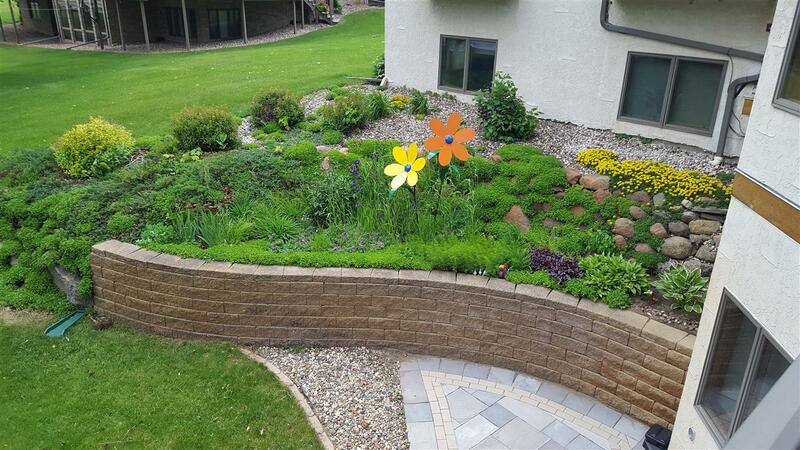 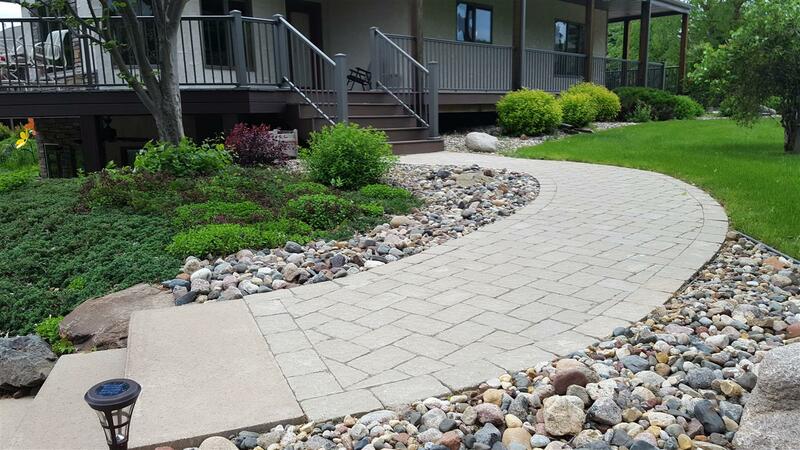 This property is located on Cannon Lake in the Faribault lakes area. 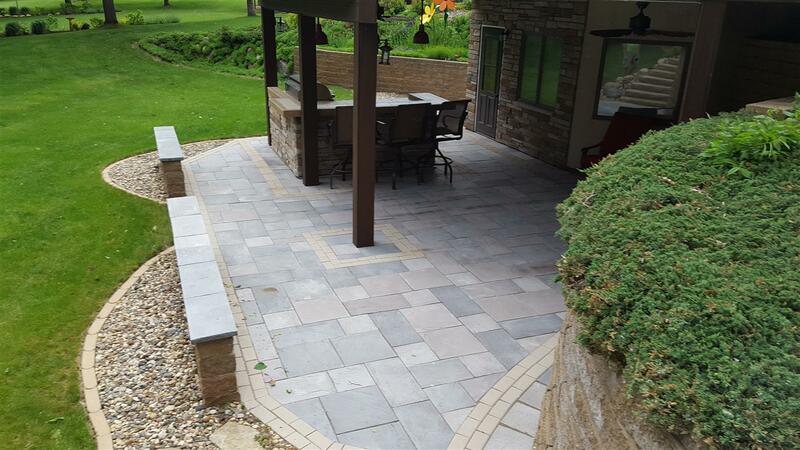 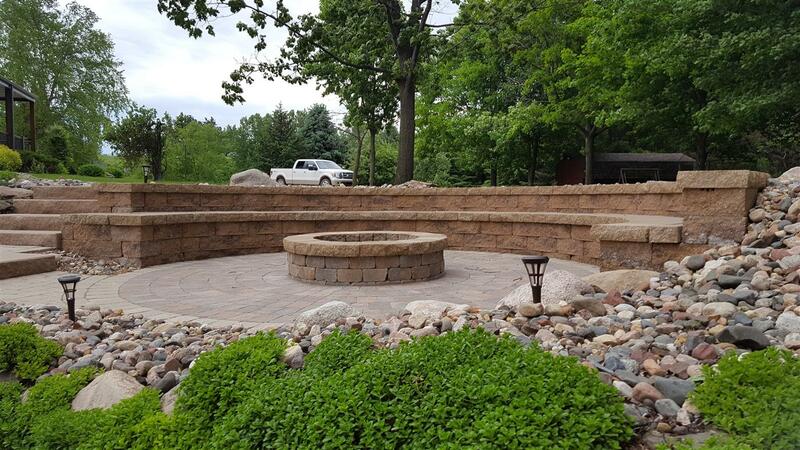 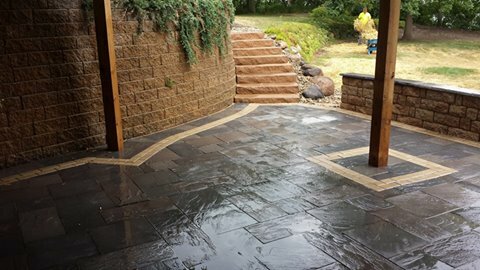 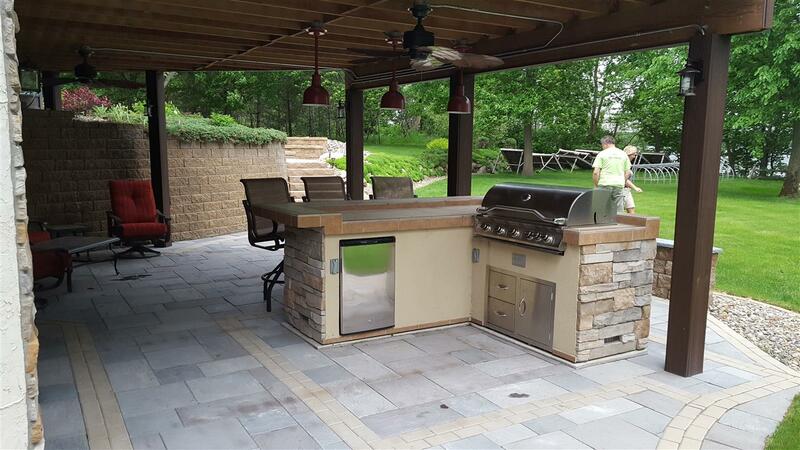 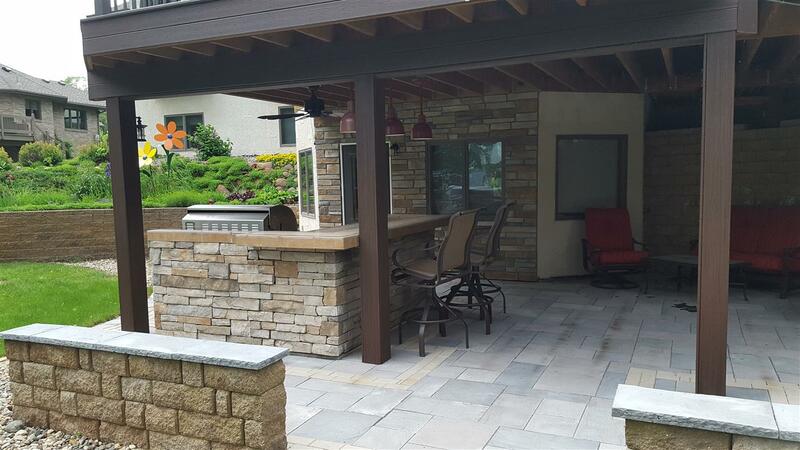 The first phase involved installing a stunning RCP Slate paver patio complete with an outdoor bar, seating walls and Borgert step units. 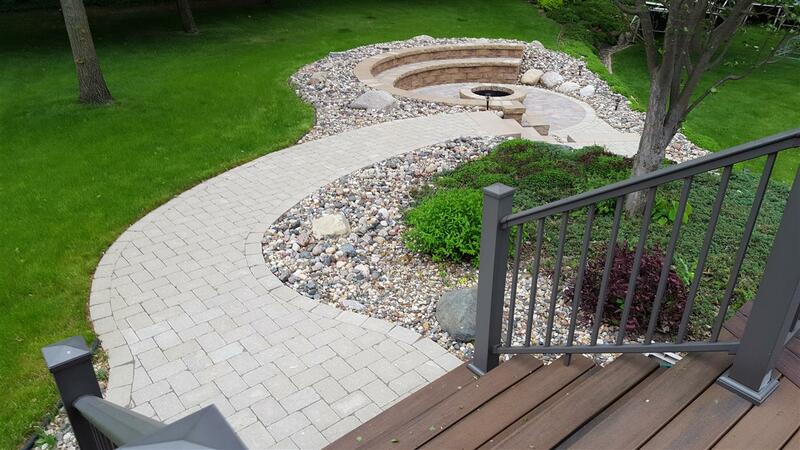 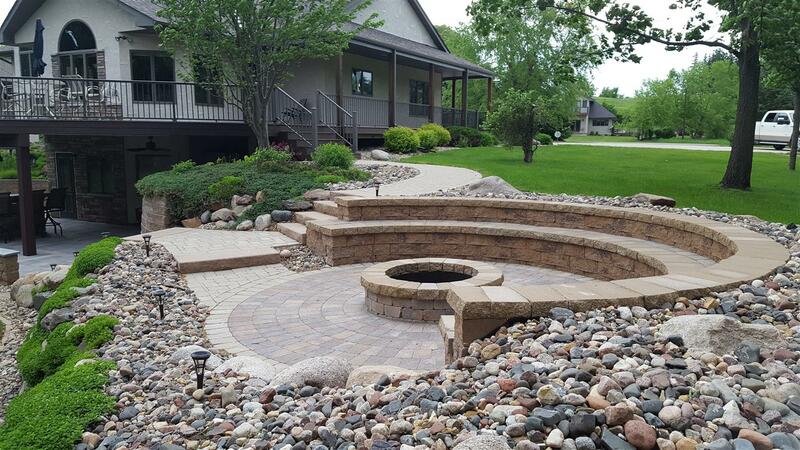 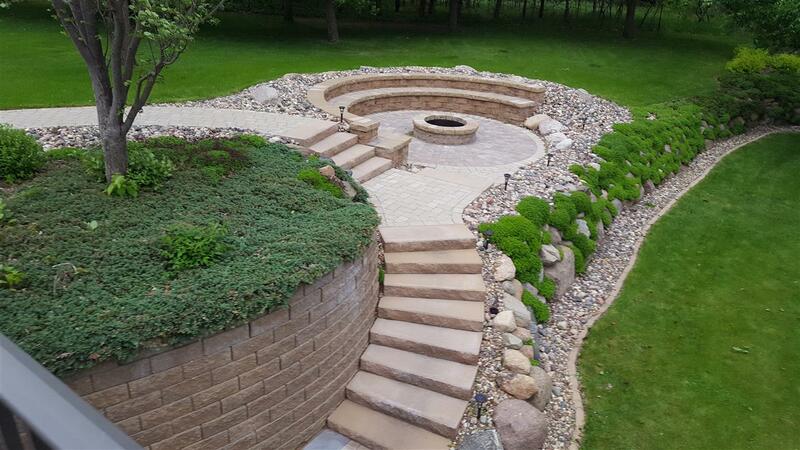 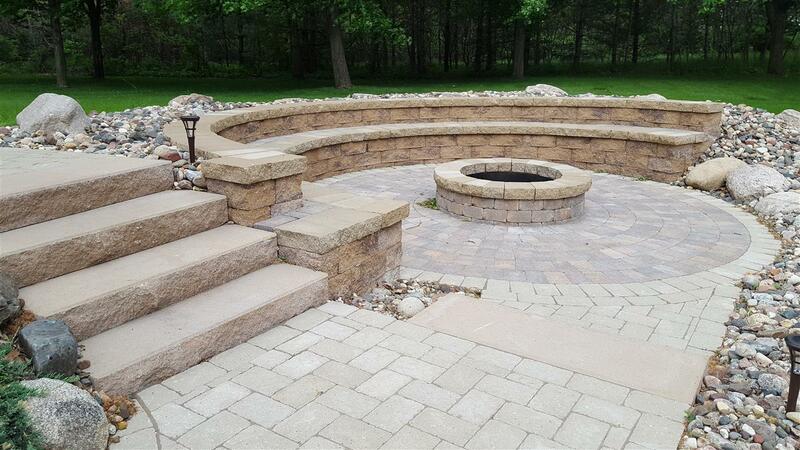 The second phase was this unique fire pit patio with a built-in custom bench, steps, walkways and planting beds. 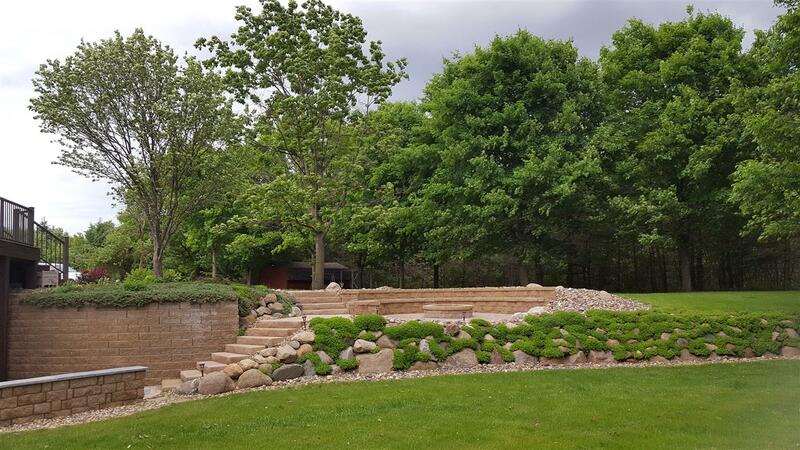 We are looking forward to the next phase this season where we will be redesigning all of the planting beds on the property.